New Year, new calendar. We just can’t wait to fill it up with eggciting (excuse the pun) projects in 2018, and we hope neither can you! Before we waved goodbye to 2017, we had one last task to help our delicious client send a cracking corporate gift to their business-friends. With the start of the new year, nothing seemed more appropriate than a corporate desk-top calendar rich with gorgeously golden yolks, fabulous birds, and the seasonal eggs you should be eating. For those fabulous enough to receive one as a new year treat, they also received a luxurious, high-gloss, A5 booklet glittering with silver foiled detail – you’d expect nothing less from a company who wears a crown. 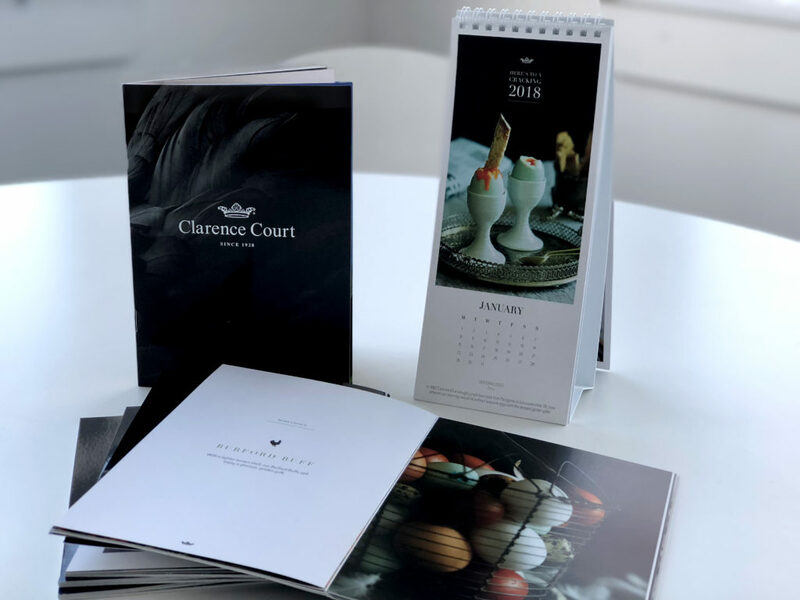 The booklet showcases Clarence Court’s selection of supremely satisfying free-range eggs, from their deep bronzed Burford Browns to their delicate, small speckled quail eggs, in shells and peeled – a deliciously tempting read for foodies and egg-fans far and wide.